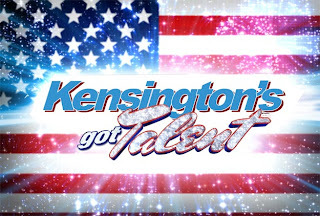 Kensington, Brooklyn: Come show your stuff at a Kensington talent show. The always busy folks at the WKAG are back with a plan celebrate the new green space in Kensington for which they were instrumental in having created. COME CELEBRATE OUR NEW GREEN TRIANGLE!!!! Hello, everyone! After a long, hot, very busy summer, it would be great to get together and have some fun. We are looking for local talent to perform at our first annual Green Triangle Talent Show! Do you Sing? Dance? Juggle? Play the Accordion? Guitar? Banshi? very soon to get on the sign-up list. This is a great opportunity to meet your neighbors and have some fun! WHEN: Saturday, September 26th, 2-4 p.m.
WHY: To have some fun, get to know your neighbors, and show us your stuff! Sounds like a wonderful idea to us. Come on, Kensington, we know you're talented. I just wish we had some of those Tuvan throat singers living in the area. Now that's talent.